Waking up to ants crawling on my wall reminded me of something. First, the sunny season is almost back, and next, I fell asleep with my midnight snack scraps beside me. It is not fun to have an ant infestation at home. Once they are in, there is no way stopping them from going after your food or keeping quarters inside your drawers. The worse experience I had with ants was when I saw my baby’s diaper stash colonized by red, biting ants. It had to throw a whole bag of diapers, something I utterly detest. I also noticed ants all over my pantry and just about every corner I looked. That incident prompted me to hire an extermination company to clear my home from a major ant infestation. It is not common knowledge that most pests that we have in the country migrated from distant continents. In the 1980s, there were around a thousand of foreign insects that started to flourish in this country. 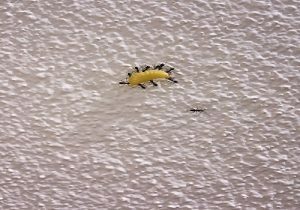 In fact, most of the pests we control are not even native here in San Diego. The insects came with the imported goods brought to our country. Even migrant people could unknowingly carry different bugs as they travel. This is in spite of strict quarantine and border protection procedures. Pests like ants, lice, houseflies, cockroaches, and rodents can have a free ride to travel the world. They can wreak havoc on a country’s agriculture and animal population if not immediately controlled. Up to recent times, pests such as the brown marmorated stink bugs, African Killer bees, Asian Tiger Mosquitoes, Asian Lady Bugs, Brown Widow Spiders and countless new ant species have come into our country. Aside from hitchhiking a ride, global warming could also causes pest migration. Farms around the country are complaining about the early arrival of migratory insect pests, such as the potato leafhopper. This pest can cause significant damage to crops like potatoes and green beans in spite of its tiny size. Etymologists have established that the possible reason for this could be the warmer climate we’ve been experiencing since the past few decades. 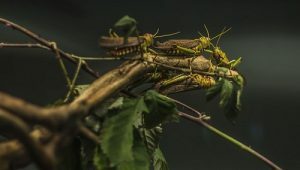 Another pest comes to mind when we think about migration, and these are the migratory locust. These pests are spread throughout Asia, Africa, and Australia. Swarms of these pests could cause a major plague. In 2013, a major locust infestation took place in Madagascar, and it was the worst locust plague this country has experienced. It may seem inevitable to prevent pests from roaming around the world. However, an active cooperation and pest control management program are needed to protect everyone from the effects of pest infestation.